Karen Hampton - "Under a Shade Tree", 2010. 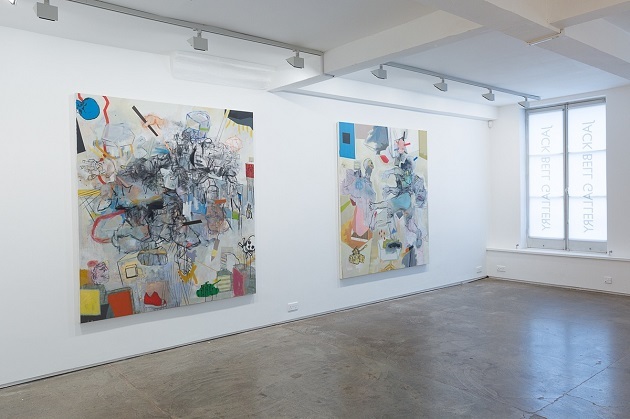 From Honolulu to London, a combination of contemporary and classic artists working with different media and techniques to build an aesthetical discourse based on quality made artwork. Honolulu Museum of Art, Hawaii. Karen Hampton is a color artist with a commitment to highlight the historical memory of her ancestors, to do that she has selected the textile artwork to mystify the narrative visions of African American people. From portraits digitally printed on fabric and working with pigments, hand-woven pieces until hand-stitched linens, Hampton talks with tenderness and symbolism about a culture that keep fighting to get an ending to its social preoccupations. 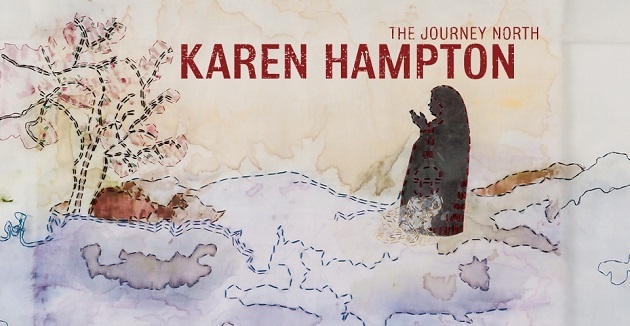 The artwork of Karen Hampton is full of mythical voyages of her genealogy, voyages that invites to follow the trace to origins. Every piece brings to life the spirits of other times, times where the future life of a color people was always in the hands of others, normally a non-color one. Memories and critical beauty surround this exposition organized by Ruth and Elmer Wellin Museum of Art at Hamilton College and installed in Honolulu, it is the last month of six to explore the aesthetic proposal of this Los Angeles born contemporary artist. Main subject of artwork of Thameur Mejri is criticize the inherent consequences of intolerant societies, the artists paintings are an excellent point to exemplify when movement in a composition is translated as violence and that is using to build a message. In Mejri’s “Let me savage in”, the static bodies on the ground rest as a cruel testimony of the different stages of a world that lives in permanent state of war. The multiplying figuration of subtle human figures and objects are used to produce movement, movement that in its rhythm and trajectory evolves into depicted violence. Thameur Mejri’s work comes with a well formed base of drawing traces with light sparks of primary colors on white backgrounds; the paintings grow from fundamental elements to chaotic urban scenarios where symbols are using to stress the communication channel with the spectator. A quality group of artworks to be seen. The exhibition comes to Jack Bell gallery as the first time that Mejri is presenting plastic work in London, a group of recent paintings that will provoke in the spectator an obligated pursuit of self-questioning about its own contribution to this complicating scenario in different world places. Jean-Baptiste Greuze - "The Ungrateful Son", 1777. Art history in the spotlight of the effervescent quality of great French drawing artists. Taking drawing seriously, that is, as a final purpose by itself not only as previous stage on the genesis of painting, Albertina has extract from its collection 70 artworks to curate a voyage through two centuries of French imagery: from the quiet and reflexive landscapes of Nicolas Poussin to the fueled of energy pieces of Jacques Louis David. 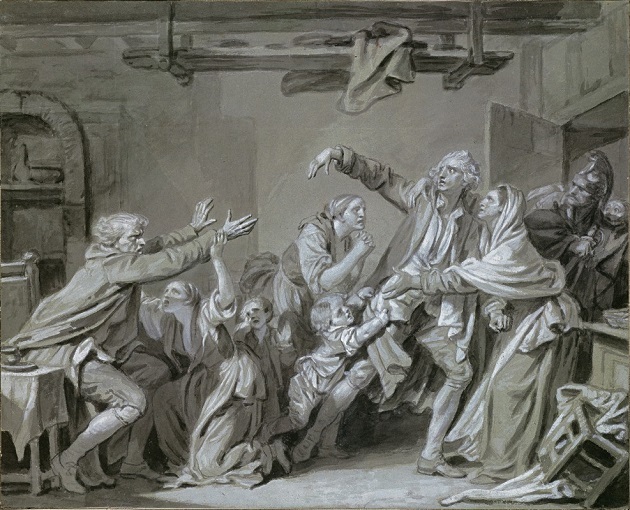 During the route the spectator will be stop by temples in ruins and villas beautifully colored by Hubert Robert and the eloquent portrait of a Marshal of France by Rigaud, the episodes continue direct to the top with the inclusion of mastery common life representations by Jean-Baptiste Greuze, among which “The Ungrateful Son” deserves an special consideration from visitors. The exhibition comes well and arrives as a fresh reminder of how much quality artwork we can found in the past, especially in that times where technique was the starting point. And now contrasting with museums and galleries wasting space exploring contemporary art proposals which are based on trendy protests and only show conceptualisms, textisms and simple lights installations… all of them empty examples of virtuosity.